At the moment i am really feeling the 'Grunge/RocknRoll' trend, i don't really know why i just think its quite me atm and how i am feeling to express my emotions of whatever. Not too sure really. But anyway, you can see from the link above to the asos page the whole grunge trend and what its all about. 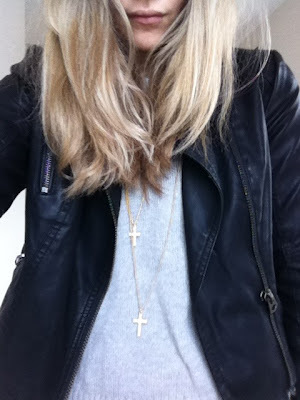 Im in love with anything that has studs and spikes etc. 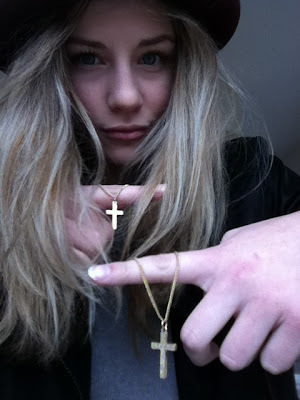 I know topshop have a lush gold studded bracelet as i bagged it a couple of days ago. 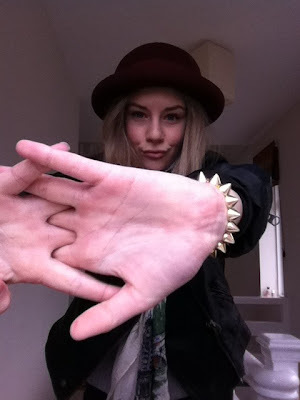 As you can see from the pictures the studded bracelet is very Rock and Roll and it was relatively cheap at only £7.50! However, it can dig into your wrist it can hurt you! 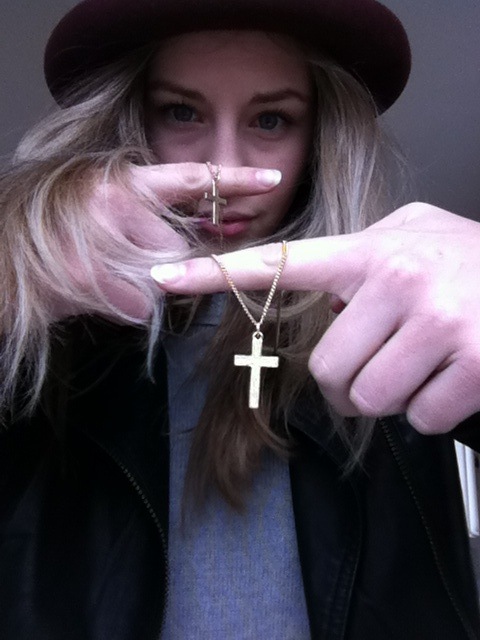 I picked up this gold double cross necklace when i was in topshop the other and and they have loads of different cross/ religious orientated jewelry in there at the moment and i personally really like it. I tend to change from gold to silver and vise verse when it comes to jewelry but i defiantly think these piece stand out that bit more in gold. For something to have a 'Gunge/RocknRoll' feel to it doesn't have to have studs or be religious, there are hundreds or novelty tees, over sized tops along with vintage Levi shorts i think, if they are paired with the right thing are all following the trend. love your style!&i defo need a necklace like that! 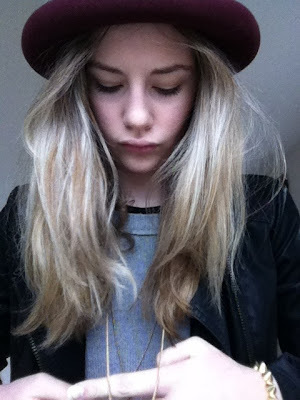 LOVE the necklace and the hat!